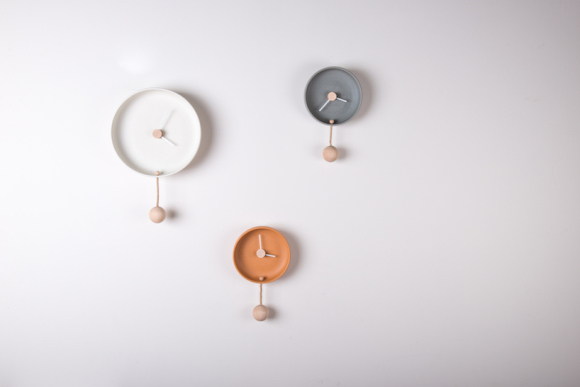 The Totide' ceramic wall clock is the creation of Italian designer Federica Bubani, Totide' being the Roman word for 'everyday'. Designed to bring a sense of tranquility into our daily routines, the clock is made from natural materials that work together harmoniously. 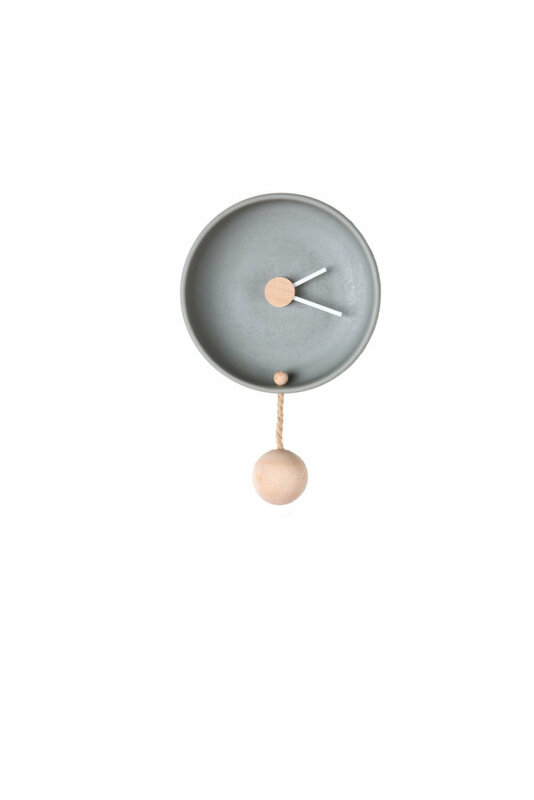 Beautifully handcrafted from a circle of grey ceramic, this contemporary wall clock features a minimalist clock face with a playful rope and beech wood pendulum. This quality time piece is perfect for transforming an empty wall space in your home, combining both beauty and function.